Light and shadow, photography and poetry build a new perspective on Vietnam as a place of proud identity, long-lasting vitality and charm. The enduring acts of farming, fishing, trades and culture of this remarkable land come alive here. 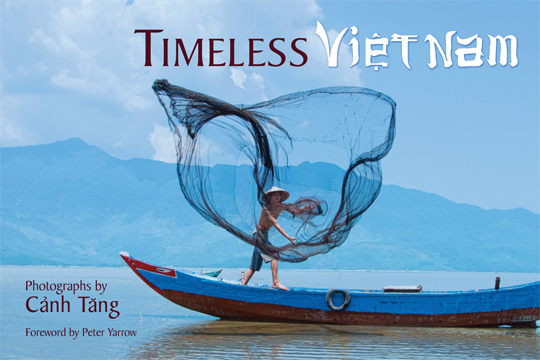 Many artists & critics agree that Timeless Vietnam is a masterpiece! “Timeless Vietnam captures the essence, resilience and beauty of a country that has endured so much violence, ideological as well as physical. It is no requiem, however, but a testimony to what will survive. --Linn Dinh is a translator and poet whose new work, Love Like Hate, is a novel of contemporary Vietnam. 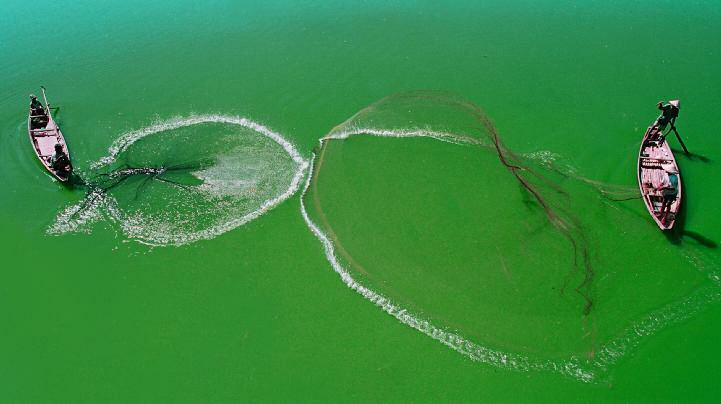 —Lap An wood gatherers wade through lagoon to market their small fuel bundles, July, 2011. 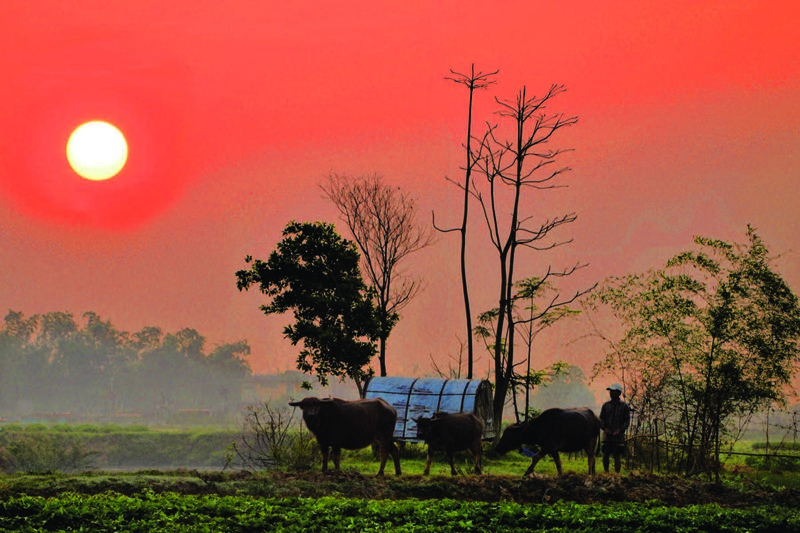 —A farmer takes his buffalo to feed on wild grass before their work begins, Quang Dien District, Thua Thien-Hue, March, 2010. 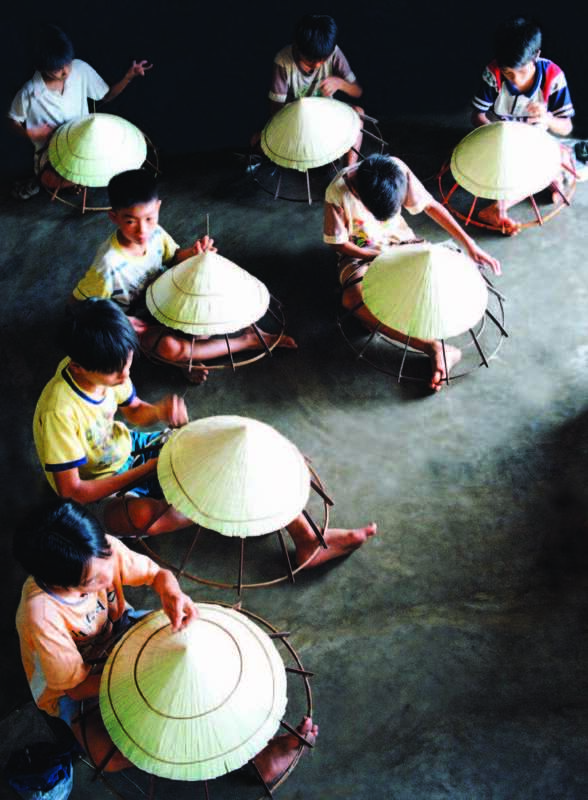 —Schoolchildren devote free hours to learning a family craft, the making of non la, the traditional hat, An Luu town, Thua Thien-Hue, 2005.
some streamor sea none covets or disputes. and catch a livelihood fromdawn to dusk. with fishing line and rodmade of bamboo. sing a gay tune, enjoy a jar of wine. Drift past where cranes resort, where oysters haunt. The fish and shrimp, by Heaven sent, abound. You eat your fill—for what else could you wish? 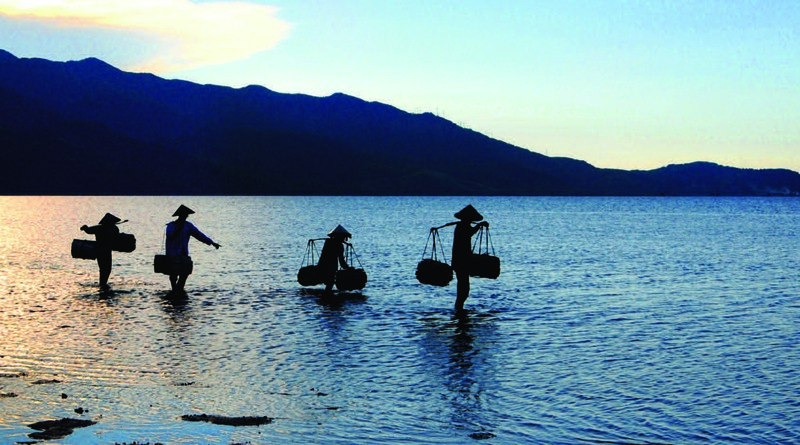 Visit www.timelessvietnam.com to see more.